Everything amazes you in St. Lucia, but the most interesting place to explore is Castries, the capital and the largest city in this beautiful state. Castries' location makes it one of the most beautiful Caribbean cities and it's one of the most beautifully situated Caribbean cities. 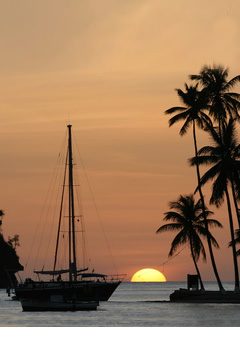 Castries is surrounded by hills and its large port is always full of action. While you are in Castries you must visit the beautiful the 19th century Catholic Cathedral located in the Derek Walcott Square. 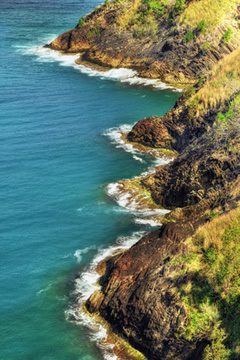 If you want to take some incredible panoramic pictures of Castries you should mount the hills of Morne Fortune. This road will give you the possibility to see historical fortifications of Castries and once you arrive at the highest point you will be able to see the whole city. 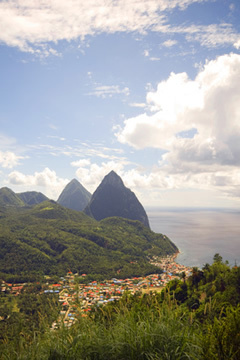 Morne Fortune should definitely be on your list of things to see in St. Lucia. Soufriere, St. Lucia's second largest city and port, is an extremely beautiful location and you should take a tour of this beautiful town. Soufriere's location allows you to visit the famous Pitons, two extinct volcanoes that you can visit while you're in Soufriere. If you want to see the banana plantations, you can make a trip to Cul de Sac. There, you can inspect three large banana plantations. 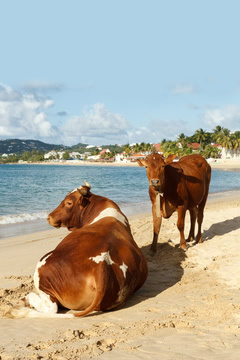 The newest city in St. Lucia, the Gros Islet, is an amazing place where you can go horse riding, attend a weekly street party, and enjoy great moments. You can make a trip to the nearby Pigeon Island National Landmark that has a great museum. 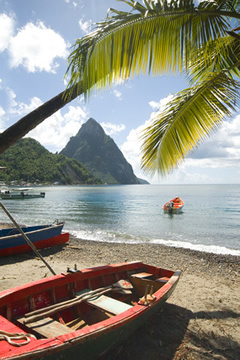 St. Lucia is an amazing tourist destination and there are lots of things to see and do in this beautiful island state. You will find new things to see every day and you are sure to return here as often as you can. Mt. Soufriere Volcano: One of the main attractions in St. Lucia is also known as the world's only drive-in volcano. Mt. Soufriere is an active volcano in St. Lucia and it can be visited by tourists. This volcano emits only gases so there's no real danger in visiting it. You will be paying an admission price and you will spend half an hour admiring the crater and the sulfur pools. Plantation Tour: If you want to get a better idea about St. Lucia's history, you should definitely take a Plantation Tour. You will be able to see lots of historic sites and buildings that were constructed in the sugar age. If you decide to visit the Fond d'Or Nature Historic Park, you will understand an important period in St. Lucia's history. 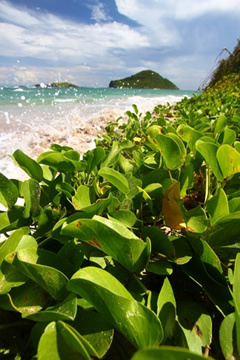 Anse de Sable : One of the most attractive beaches in St. Lucia. Here you can enjoy swimming and sunbathing on the sandy beach. Furthermore, you can try windsurfing and other exciting water sports. Waterskiing and parasailing are also available and all water sports fans will be thrilled here. Whale watching : If you love animals, St. Lucia offers you the possibility to see some of the most amazing animals, the whales. You can admire several whale species on St. Monica's coast such as the sperm whales or the humpbacks. Furthermore, if you would like to see these amazing mammals and the surrounding islands, you can go sailing on a whale watching trip. While you're visiting the beautiful island State of St. Lucia, you should definitely go scuba diving and admire the natural coral. The tropical seas that surround St. Lucia offer a world of marine adventure, you will be able to see lots of interesting sea animals such as turtles and seahorses. Whether you're skimming the surface on a windsurfer or gliding below through shoals of fish and coloured coral, this is one of the most beautiful spots in the entire Caribbean. The Anse Cochon Reef: St. Lucia's warm clear waters and numerous spectacular reefs and marine life offer a perfect environment for both beginners and expert divers. This Reef is an underwater haunt waiting to be explored. 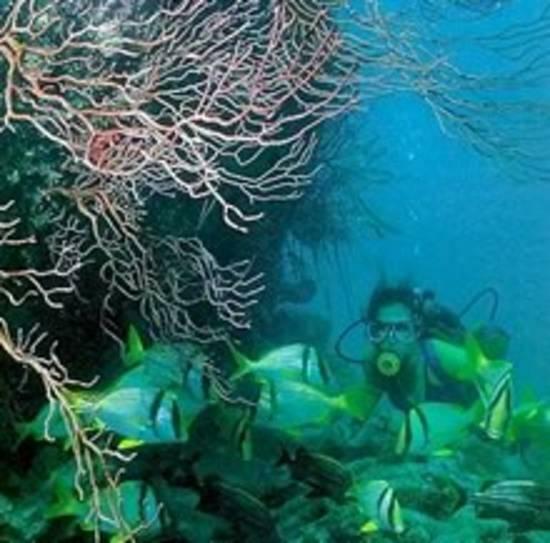 Anse Chastanet Reef: One of the most dramatic spots for diving is the stunning Anse Chastanet reef in the southwest of the island. The shallows, with depths to 25ft can be entered directly from the beach. The reefs falls away from 20-140 ft in a unique coral wall that continues from Anse Chastaner Bay around the headland of Grand Caille and in towards the harbor of Soufriere, providing some of the best diving in Saint Lucia. Shoals of fish swim through a beautiful coral garden. You can apreciate numerous fish, a moray eel, and parrotfishes, amoung others. 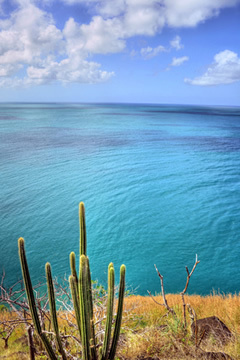 Anse La Raye: Known as one of the finest wall and drift dives in Saint Lucia, Anse La Raye can be found below a shallow wall. Interesting formations at the slope which consists of huge bolders, stimulate the eye and imagination. Coral Gardens: Located at the base of the Gros Piton, the Coral Gardens offer breathtaking scenery above and below the water, where five finger coral runds from a depth of 15-50ft. Fairy Land: At the point of Anse Chastanet, a plateau named Fairy Land slopes gently from 40-60ft. Since strong currents here keep the corals and sponges clean and the viewing is excellent and, this site is ideal for underwater photography. The Key Hole Pinnacles:Voted one of the "10 Best Dive Sites" by Caribbean Travel & Life, The Pinnacles are described by the magazine as "four coral and gorgonian-encrusted seamounts that rise tantalizingly up from the ocean depths". The Lesleen M: A 165-foot freighter, was sunk by the Department of Fisheries in 1986 to provide an artificial reef. It lies upright in 60 ft of water near Anse Cochon on the west coast, just south of Marigot Bay. Divers can tour the ship in its entirety. 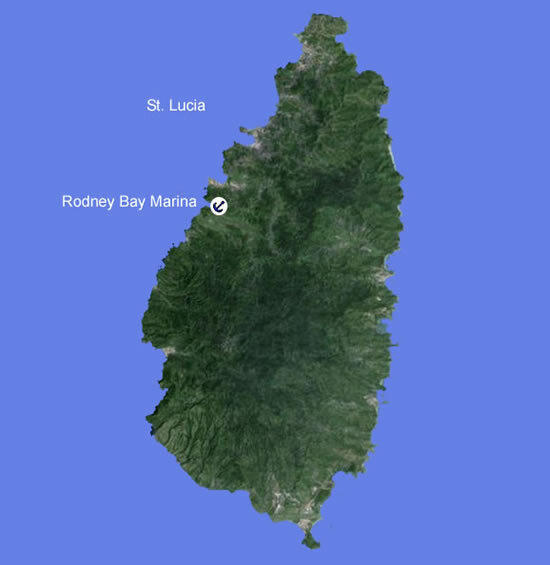 Superman's Flight: Names for a scene on Saint Lucia for the movie Superman II, this site is a drift dive on a gentle wall that drops to 1600ft. Good visibility created by strong currents permits crystal clear viewing for underwater exploration. Divers can enter the water here at the base of Petit Piton.